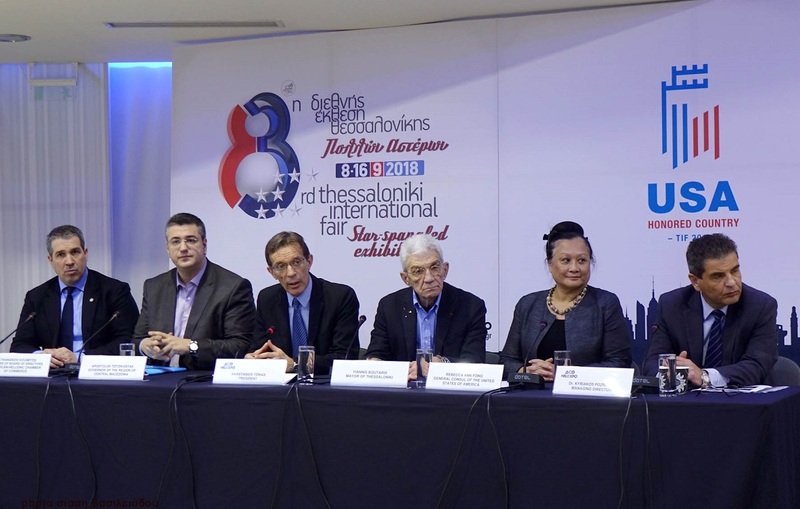 Athanasios Kouimtzis representing the American-Hellenic Chamber of Commerce; Central Macedonia Governor Apostolos Tzitzikostas; TIF-Helexpo President Tasos Tzikas; Thessaloniki Mayor Yiannis Boutaris; US Consul General in Thessaloniki Rebecca Fong; TIF-Helexpo CEO Kyriakos Pozrikidis. 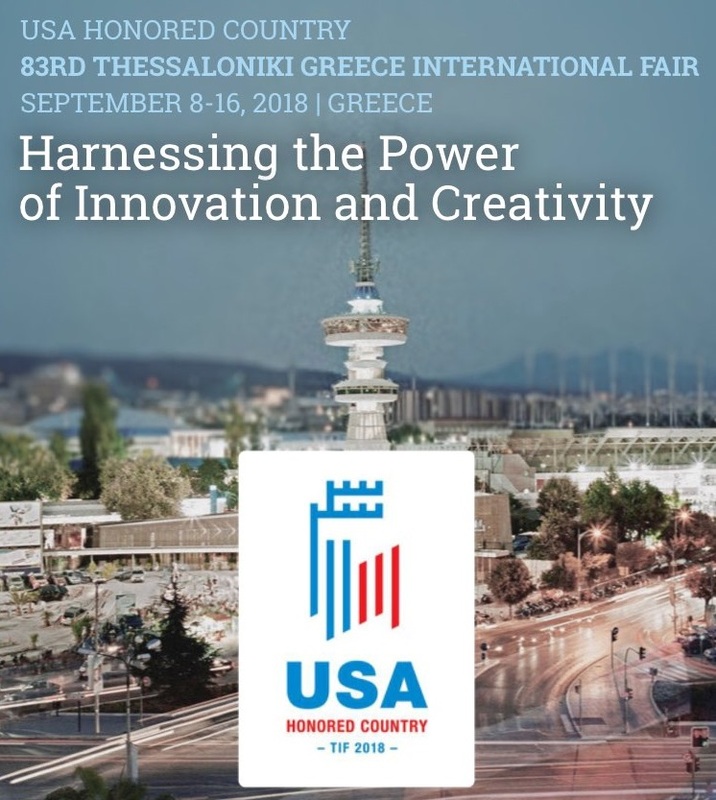 The United States will be the honored country at the upcoming 83rd Thessaloniki International Fair (TIF) to be held in the northern port city on September 8-16, at the TIF-Helexpo Center marking the largest business, industry, political and trade event in the country. American firms including the likes of Microsoft, Google, Cisco, Coca-Cola and Lockheed Martin, business leaders, decision-makers and influencers will be participating in the nine-day event strengthening ties, fostering new networks and paving the way for cooperation in an array of fields and areas including energy, tourism and technology, said TIF-Helexpo, national organizers of the exhibition at a press briefing on Tuesday. “Our aim is for the 83rd TIF to become the best of all time both in terms of number of visitors and exhibitors as well as of cultural events,” said TIF-Helexpo President Tasos Tzikas, adding that the focus was on further expanding the trade fair’s influence and moving ahead with the revamp of the TIF-Helexpo Center. At the same time, Central Macedonia Regional Governor Apostolos Tzitzikostas underlined the importance of US participation in this year’s TIF adding that it will offer Greek and American entrepreneurs the opportunity to get to know each other, while sending a clear message that the country remains committed to its historical relations with the United States. 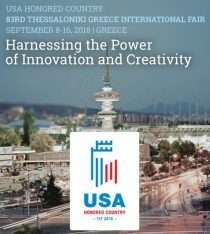 Through its participation in the 83rd TIF, the US aims to highlight its commitment to Northern Greece, said US Consul General in Thessaloniki, Rebecca Fong, during Tuesday’s briefing. Fong added that a high-ranking US delegation, including US Secretary of Commerce, Wilbur Ross, will be attending the event in September, while prominent Americans will be visiting the city in a series of events leading up to the TIF, among them American astronaut and veteran of five space shuttle missions, Marsha Ivins.